We have a bar & deli down on Main St. in my home town called Bison Witches. They have three other locations around the U.S. but we love stopping in during an afternoon outing and grabbing a sandwich and a bowl of soup or chili. I have been going there since my Freshman year of college, which is when I discovered the little jewel of a sandwich, the Miss Priss. 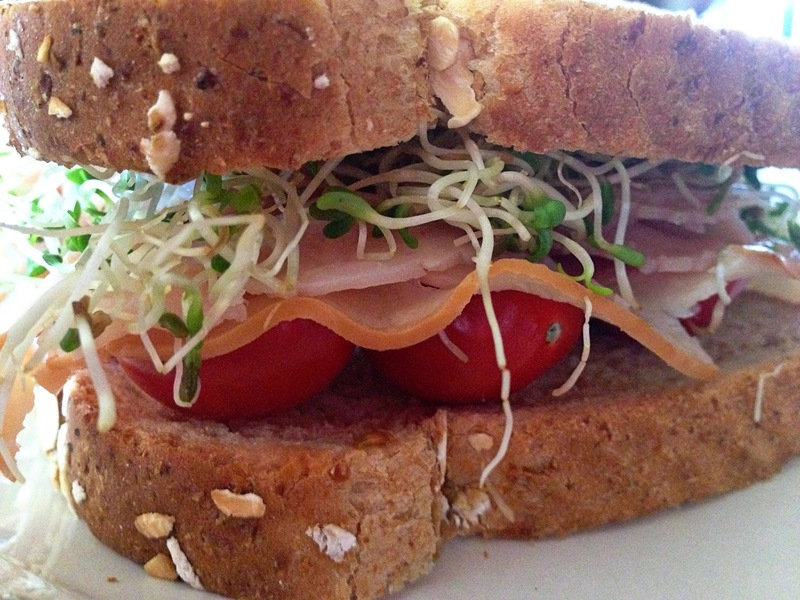 As weird as it sounds, I am really picky when it comes to enclosed foods such as sandwiches, burgers and tacos. I come by it honestly, my dad gave up trying to place our drive-thru orders years ago. If we did find ourselves whipping through a McDonalds or any other fast-food spot, he would pull past the speaker and make the person in the backseat place the order. My mom, sister and I knew eachothers "special" requests by heart. He would say "just order me 2 cheeseburgers - however they come" I am a ketchup and cheese only girl when it comes to burgers, meat and cheese only on tacos and sandwiches....usually. 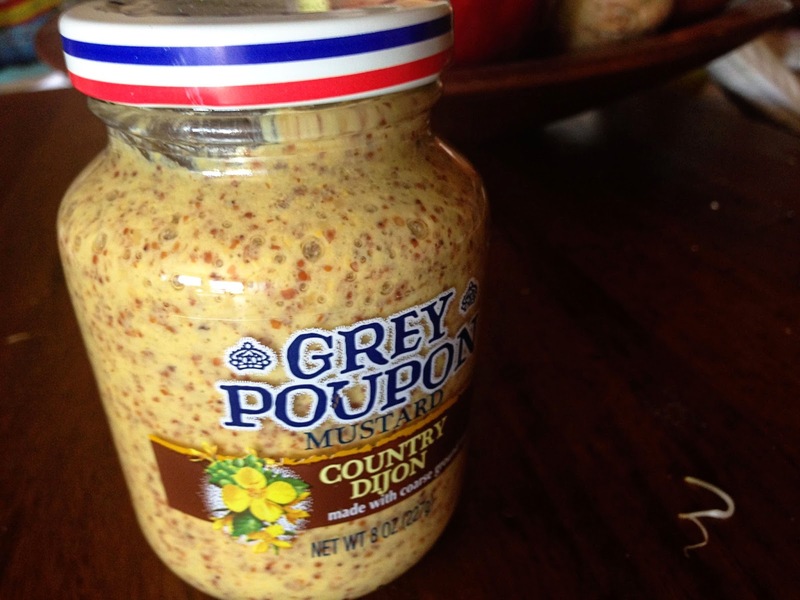 Mix up the honey mustard, set it aside. 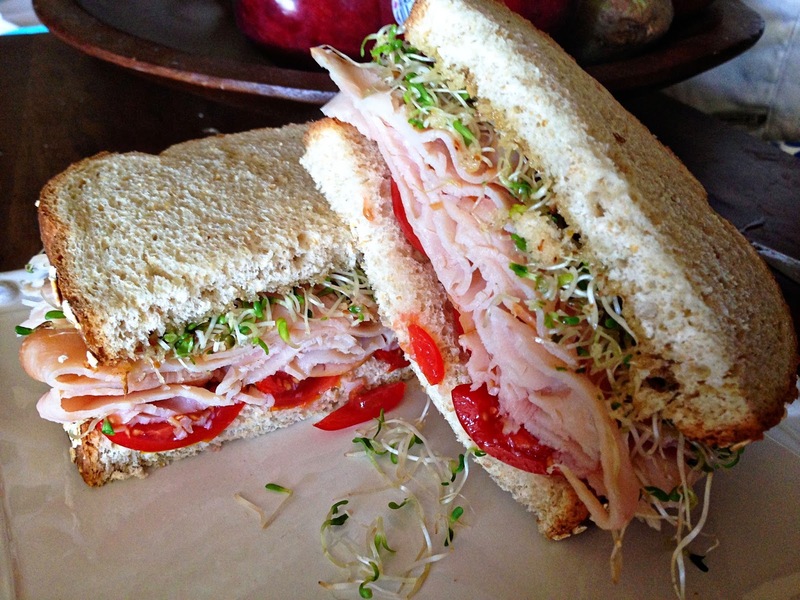 Layer on one slice of bread: tomato, turkey, cheese, sprouts. 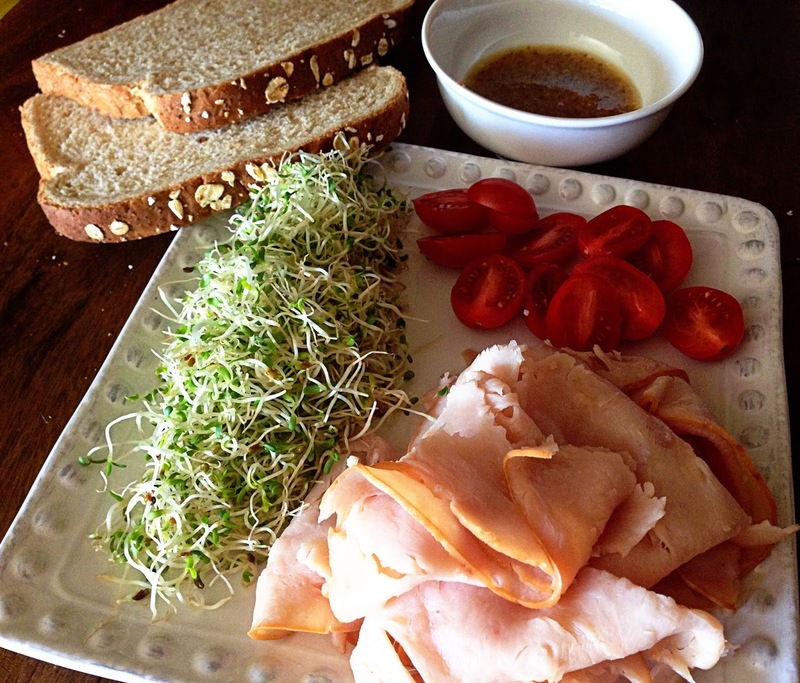 Spread honey mustard on top slice of bread and place spread side down on top. Easy as 1,2,3!